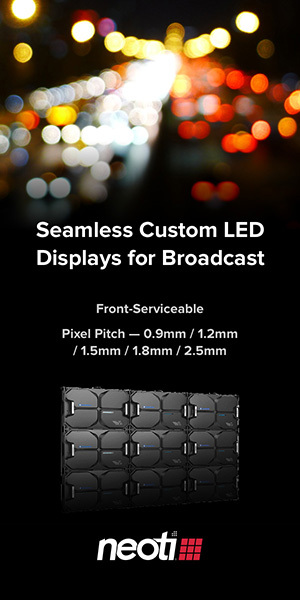 Sports Video Group has a look at Chyron and NeuroTV’s partnership heading into NAB 2010. Virtual set technology is popular in Asia and Europe but U.S. TV productions have been reticent to rely on it due to cost and complexity. The deal with NeuroTV could change that equation has it has a trackless technology, meaning that the camera can be locked down and computers then synthesize moves like camera crane moves and pans. “Without cost and complexity we can get Virtual Sets to a tipping point where users have much better systems for much lower costs,” adds Hendler. 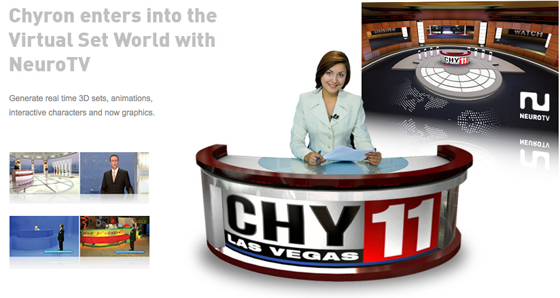 The partnership enables Chyron to integrate and co-market virtual set technology across its existing graphics platforms. The resulting solutions will allow Chyron to offer a broader based line of products offering increased ROI to clients.